The 805 Criterium Weekend started with a Twilight Crit at the Allan Hancock EVOC Track in Lompoc. The race featured strong winds, lots of attacks and fasts speeds that ended with a field sprint and a crash in the sprint near the front of the field with Daniel Holloway (Athlete Octane) taking the first win of the weekend. 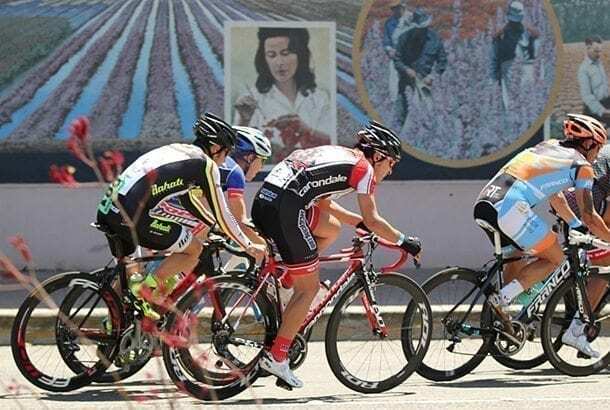 The next race of the weekend was the 805 Avenue of Flags Criterium in Buellton. It was an L shaped course that was not your typical flat four corner course. 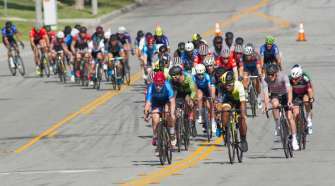 It was an undulating course with strong winds that made it a strong man’s course with gutter racing and a slight uphill and a downhill that left the riders single file riding in the barriers for most of the day. This allowed small groups to get up the road that later became one large group and then broke up again to allow five riders to get up the road and lap the field. 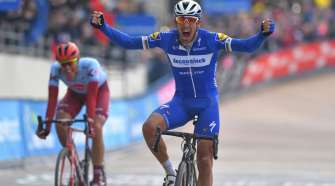 Riders from KHS-Maxxis-Jakroo came to the front to up the pace with five of the riders lapping the field with Santos and VonNacher both from KHS-Maxxis-Jakroo being in the in the break. They opened up their lead on the chase group to ensure that it would be a five man showdown. It looked like the numerical advantage was swinging towards KHS Maxxis however they under estimated the strength and motivation of Anthony Canevari (Athlete Octane) to speed in to get his first win of the season. 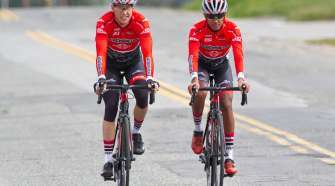 The final showdown was at the District Championships in Valley of the Flowers Criterium in Lompoc. It featured a figure eight course with strong winds all day long, which made for a tough course and a fast pace. The field was a little shallow on quantity, but had some solid riders that would make for a good showdown. The race started out fast and small groups got up the road and it looked like the field would split early in the race. However, there wasn’t much cooperation among the early leaders which led to the field coming all together again. Then a solid move came from Kyle Gritters and Brandon Gritters, both of Rokform, and Daniel Holloway (Athlete Octane) who opened up some real estate quickly. The trio organized quickly and distanced themselves from the main field. With the advantage looking like it could lean towards the Gritters brothers. But, the inform Holloway wasn’t having any of it, so he made the first move taking Brandon Gritters with him distancing themselves from Kyle Gritters. With the two riders approaching the finishing stretch Holloway made the sprint look easy as Brandon Gritters actually did a track stand just before the line to wait for his brother Kyle to get the points and the State Championship. In the women’s race, Joy McCulloch (KHS-Maxxis-Jakroo) took the win for the Elite Championship Title. Great job to all the riders that toughed the strong winds over the weekend and making the trip up to the 805 races.